There's really no precedent for the kind of turnover IU experienced in the offseason, so this might be the toughest team to predict. I have a feeling that many of these predictions are going to look awful silly in a few weeks. But that's why they play the games. This schedule was not meant for a rebuilding team, and it shows. IU has a lot of contenders on its non-conference slate. Tom Crean's biggest challenge might be keeping his teams' spirits high while they suffer a few big losses. Overview: This wasn't the same team that upset Iowa in the first round of the 2006 NCAA tournament. Last year, they went 15-18, and lived off of two seniors. The team returns 59.7% of the minutes from last year, so don't expect any big steps forward. What to look for: This team is positively Ricky Bobby ("I wanna go fast!"). Every year, they challenge for the "fastest team in the country" title. Who to watch: 5-10 Keithan Hancock figures to be the go-to guy on offense. He's not a great scorer (48.9 eFG), but he's capable enough. Sophomore Damon Jones could take a big step forward as well. Expect the unexpected: Interestingly enough, that 05-06 team was much slower. Maybe the Demons should ease off the gas. Overview: I'm not sure anyone noticed, but these guys were pretty good last year. They went 23-7, and 15-3 in the Summit League. While their weak non-conference schedule hurt them on Selection Sunday, it's strange this team did not end up in the NIT. Sure, it's not winning, but they came within 8 of Marquette in Milwaukee in the first game of the season. What to look for: Unfortunately, the Jaguars were a little too successful. Marquee player George Hill left for the NBA after his junior season, and was drafted in the 1st round. With him, this was a tourney team. Without him, not so much (52.3% of the minutes return). Who to watch: 5-10 Gary Patterson and 6-7 Jon Avery get the call, in a predictable inside-out tandem. It will be interesting to see how much their sky-high shooting percentages drop (eFGs of 58.3 and 63.3, respectively) in taking on the load of shots from Hill and departed senior Austin Montgomery. Expect the unexpected: IU's perimeter defense will be tested in this one. Although IUPUI won't be as good as last season, they will shoot the rock well. They were the #1 3-point shooting team in the country last year, and the #3 FT-shooting team. They won't be quite that good, but they will be good. Overview: The Fighting Irish's basketball team has been better than the football team for a while now, and this year ought to be a banner season on the hardwood. Notre Dame brings back 85% of the minutes from a team that won 25 games last season. What to look for: There might not be a better offensive coach in the country than Mike Brey. His offenses routinely finish in the top 25 in terms of offensive efficiency, and sometimes they make it into the top 10. And there aren't any Derrick Roses on his teams - it's guys like Colin Falls and Chris Quinn. Who to watch: As Bill Raftrey would say - "the big fella!" I'm not sure there's a more fun player to watch play basketball than Luke Harangody. You see a fat kid whose shorts are so big that Adidas probably had to invent the "XXXXL" line just for him. And then he goes out and just eats up the Big East. Huge shotload (35.6% last season), big time rebounder (13.3/24.2 OReb/DReb), and doesn't make mistakes (13.5 TO Rate). Despite his lack of athleticism, I think this kid will end up on an NBA roster someday, though I agree he's unlikely to ever dominate quite like he's done in college. Enjoy him while you can. Expect the unexpected: Notre Dame needs to pick up the defense if it's going to make a real run at the Final Four. While the defense was solid if unspectacular last year, it was aided by the 10th-best FT "defense" in the country. Overview: The Big Red went undefeated in the Ivy last season, which included a 16 game win streak before being blown out by Stanford. But these guys are the favorite to repeat as Ivy champs. Cornell also faces Minnesota in the non-conference slate. What to look for: IU will face its third offensively-gifted team in a row, as this stretch of the schedule figures to really test the Hoosiers. Cornell can shoot the rock - last year they were 40.2% from 3, 52.6% from 2, and 76.1% from the FT line. And they return 84.8% of the minutes from that team. Who to watch: Keep an eye on 5-11 PG Louis Dale. He can shoot from deep (37.7%), and holds his own inside the arc (48.8%). He's a big slice in TO Rate away from being a legit NBA prospect. Maybe not Chris Paul good, but he'll get invited to a few camps. Overview: One needs to look no further than the post Chris Paul Era at Wake Forest to see how good this guy was. Even though Wake brought back Justin Gray and Eric Williams in 05-06, the team fell from 27-6 to 17-17. Wake really hasn't improved much since then, going 17-13 last season. But this year figures to be different. What to look for: Skip Prosser might have been an offensive genius, but he (may he rest in peace) was a defensive knucklehead. There might not have been a guy whose teams' offensive efficiencies were more out of wack with the defensive efficiencies. The best example might be 2003-04 (#1 in offensive efficiency, #89 in defensive efficiency). This has changed under Coach Dino Gaudio. Who to watch: Wake should be one of the most improved teams in the country this season. They return 97.5% of the minutes from last season (they're like the anti-IU) and bring in a monster freshman class featuring #7 RSCI Al-Farouq Aminu. The challenge for this team is finding enough minutes for everyone. Wake should join UNC, Duke, Miami, and Clemson atop what ought to be the best conference in the country this season, the ACC. Expect the unexpected: Wake is loaded, yet doesn't have a real PG. Ishmael Smith has an intolerably high TO Rate for a Final Four contender, and while Jeff Teague was allegedly a PG in high school, he didn't show it last year. It's a minor quibble on a team this talented, but something the Demon Deacons will try to shore up before March. Overview: Is there a team that is more perennially accused of being both overrated and underrated than Gonzaga? 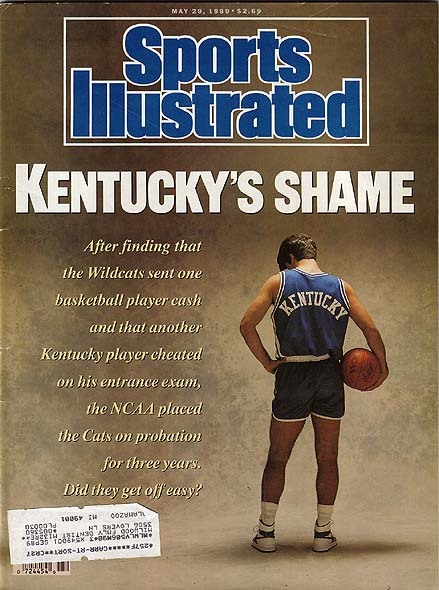 I guess that's the plight of the most successful mid-major program of the decade. Gonzaga owns the WCC, so they always have a sparkling record come tourney time, with a precious few games against formidable competition by which to judge them. Thus, they're a slippery team to get a handle on, which might explain why there's no consistent opinion on the Bulldogs. What to look for: Unlike most successful mid-major programs (such as Butler, or Davidson), Gonzaga does not attempt many three pointers, attempting only 31.9% of their shots from behind the arc. The Zags do tend to shoot the ball well, however, from both two point and three point range. Who to watch: Jeremy Pargo seems to get all the media attention (I think Gary Parrish has been swallowing tooth whitener), but Austin Daye is the real guy you need to worry about. He's 6-10, can shoot from 3 (41.3%), owns the defensive glass (23.5 DReb%), and is one of the best shotblockers in the country (10.0 Block%). Expect the unexpected: Can Josh Heytvelt return to the player he was in 06-07? First the drug charges, then a surgery...which didn't heal properly, apparently, and now another surgery. Josh has big time talent, and if he gets right, he and Daye will form one of the best frontlines in the country. Overview: IU will attempt to catch their breath against a very beatable TCU team. TCU was plagued last season by terrible two point shooting (42.6%). Normally, this is a function of being very short. While TCU was by no means tall, they weren't that short. Maybe this is just really bad shot selection? How else do you explain the 6-8 John Ortiz going 37.5% on his 144 two-point shot attempts? What to look for: On defense, TCU will look to press. Although IU will probably be the better team, their inexperienced guards may have trouble with TCU's ability to force TOs (23.9% last season). Who to watch: I don't know if Henry Salter is coming back, but if he does, he's their most efficient returning scorer, and figures to take over 30% of the available shots on the floor. Salter was suspended at the end of the season for "conduct detrimental to the team," but I haven't seen anything as far as whether or not that's permanent. He's not listed on the roster as of this writing. Expect the unexpected: If Salter plays, this could be a competitive game (TCU returns 51.6% of the minutes). If not, IU should be the solid favorite (41.5% of the minutes). Overview: Billy Gillespie's team won 18 games last season, which is the lowest total at Kentucky since Rick Pitino was picking up the pieces after the Eddie Sutton's tenure. While one might believe that things can only get better, the low returning minutes (49.3%) speak otherwise. What to look for: In his last two seasons guiding the Wildcats, TubbyBall became more offensive-oriented. This isn't to say that defense was neglected entirely, but it's hard to imagine a Tubby team with Kentucky talent that allows opponents to keep a TO Rate at 18.4. That's changed under the regime of BCG, as UK's defensive eFG was 18th in the nation. But still, there are strides to be made. While the Wildcats defended shots well, they didn't do anything else (with respect to TOs, DReb, FT Rate) on defense to help themselves. Who to watch: While Ramel Bradley and Joe Crawford were not all-world talents, they were good, and their losses will really hurt Kentucky. This is because behind those two are mostly role players. Ramon Harris, Michael Porter, Perry Stevenson...every one of these players saw a lot of action last year, every one of them had a Shot% under 13%, and every one of them was inefficient. Kentucky has to be more than "Patrick Patterson and some dudes" if it wants to improve on last season. The early candidates for the supporting cast are a hopefully-healthy Jodie Meeks, and top 40 recruits DeAndre Liggins and Darius Miller. These guys will see a lot of the court this season. Expect the unexpected: Part of the reason for UK's struggles last season was the lack of a PG. It forced other guys to handle the ball, and as a result there were some disastrous TO Rates. Overall, the team had a 23.2% TO Rate. That won't get it done. That's why a lot of eyes will be focused on the Chicago-tough Liggins. Some think he's a PG, others see him as the dreaded "point forward." Whatever he is, he will likely draw a lot of PG duties for Kentucky, and they need him to be productive in a hurry. Overview: The Northeastern Huskies have hit a bit of a rough patch in the past two seasons after a nice run of consecutive winning seasons, which included a tourney appearance in 04-05. What to look for: Northeastern is very tall (9th tallest team in the country last season), and figures to be tall again this season. This is a dangerous game for IU - they don't have an imposing frontcourt. Fortunately, Northeastern's height hasn't translated into two point defense as of yet. But they're also a lot more experienced this season, returning 94.1% of the minutes from last year. Who to watch: It will all run through 6-4 guard Matt Janning, who might take 30% of the shots while he's on the floor this season. He hit 37.6% of his 3s and 50.2% of his 2s last year. Expect the unexpected: Northeastern was #157 by Pythagorean record last year. Number 158 was Northwestern. Overview: The core of the team that helped Lipscomb win 21 games in 05-06 has moved on, and the rebuilding will fall on the shoulders of a couple of sophomores. The Bison went 15-16 last season. What to look for: The real mainstay over the past few seasons for Lipscomb has been the defensive rebounding. We're not talking about Wisconsin here, but it's all relative. When a sub-.500 mid-major program puts up a top 60 DReb%, it's something for opponents to consider. Unfortunately, the biggest part of that - departing senior Jason Hopkins - has moved on. But I wouldn't expect too much change. Who to watch: Josh Slater and Adnan Hodzic figure to comprise the stereotypical inside-out duo that will drive the Bison offense. Slater had a bit of a TO problem last season, but that's not uncommon for freshmen. While he's not as athletic, Hodzic will provide good Raymar Morgan practice, as there are a lot of similarities to their games. Expect the unexpected: Normally we'd expect a mid-major opponent that goes 15-16, loses its top offensive and defensive players, and returns only 57.6% of the minutes from last season to pose little challenge to a Big 10 team at home. But beware - the Bison gave the Boilermakers all they could handle before losing by 4 at Mackey Arena last year. Don't sleep on a team that's used to winning (I suppose that goes for Indiana as well).